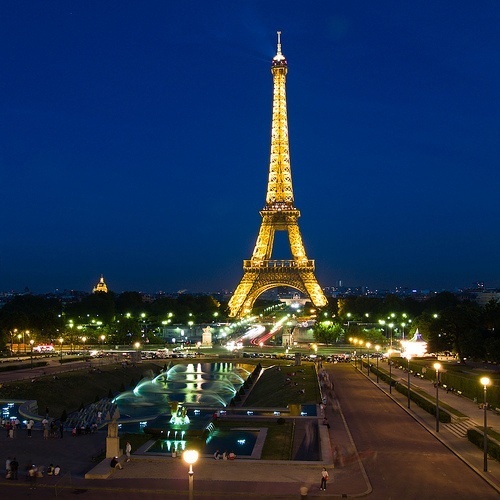 Home /Presenting » On my way to WSI’s E & I Convention in Paris! On my way to WSI’s E & I Convention in Paris! WSI’s Excellence and Innovation Convention for franchisees is set to be held on 23 – 25 March 2012 in Paris. It’s our largest European gathering of WSI Consultants and these conventions are usually filled with riveting presentations, fascinating case studies and practical guides on how internet consultants can grow their clients’ businesses. My wife, Marianna, and I will be flying from Johannesburg to Paris on Monday, 19 March to do some sight-seeing and networking ahead of the big convention. These simple principles are the backbone of everything we do. But how does it actually work? What does it mean to “build targeted traffic”? I’m going to focus on the basics of giving your clients the internet properties that can really make a difference to the way they do business. I’m also going to be talking about inbound marketing – which is often a widely debated topic. Creating a buzz and a following for your website is probably one of the areas where many digital marketers fail, but this is the one (measurable) thing that will entice your clients the most. I’m going to give step-by-step guides on how you should go about creating the right type of content to get people to your website. On the third day of the convention, I’ll be delivering advanced systems training to WSI Consultants. I’ll be focusing on a 12 step social technology strategy process, selling social enterprise solutions and other practical topics that will help you simplify (and sell!) these solutions. Keynote presentation on Re-Imagining Digital Marketing & Analytics: A Road-Map of Success by Avinash Kaushik, Author of “Web Analytics 2.0” and Co-Founder of Marketing Motive.